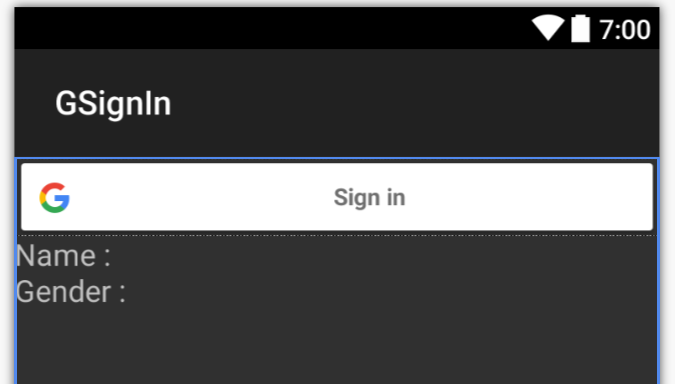 Gmail Login is an easy way for users to log in. Gmail Login automatically retrieves all the user information. 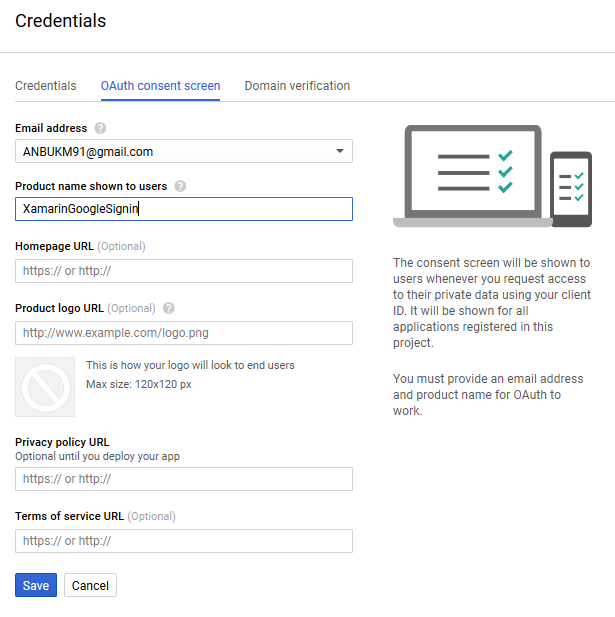 Before starting our Android application creation, we need to create a Gmail Developer account’s new application and enable Google API. 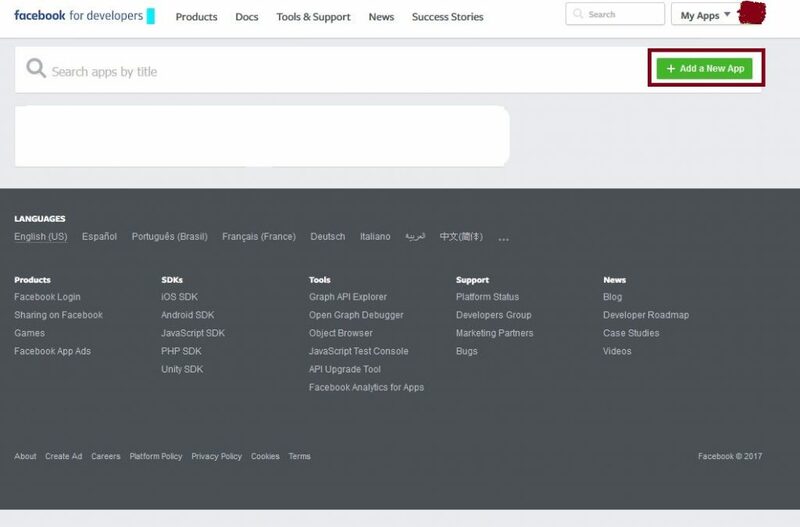 Step 1 : Go to API Console from https://console.developers.google.com/apis/dashboard. 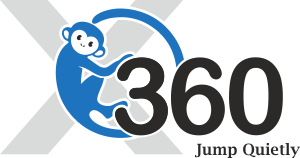 Check the page on the left side corner and go to Project Name Dropdown. Now, click the + button which opens one more window for app creation. 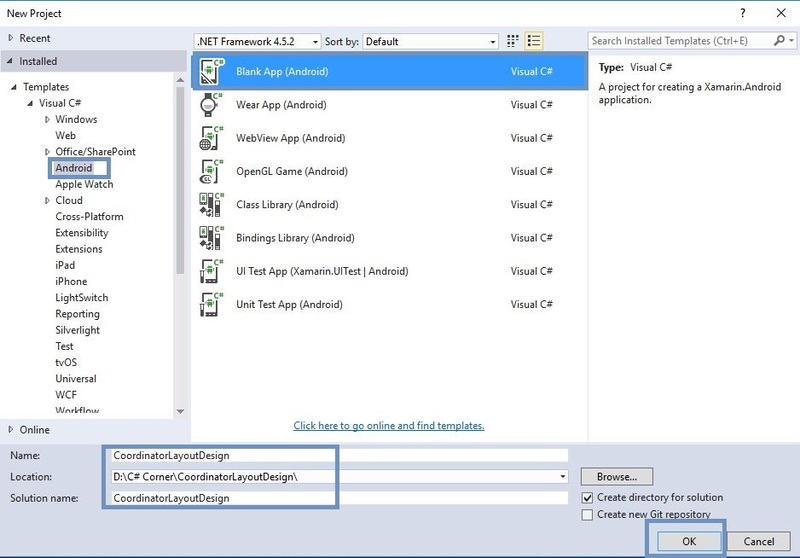 It asks for Project Name, followed by clicking “Create” button. Finally, move to dashboard. 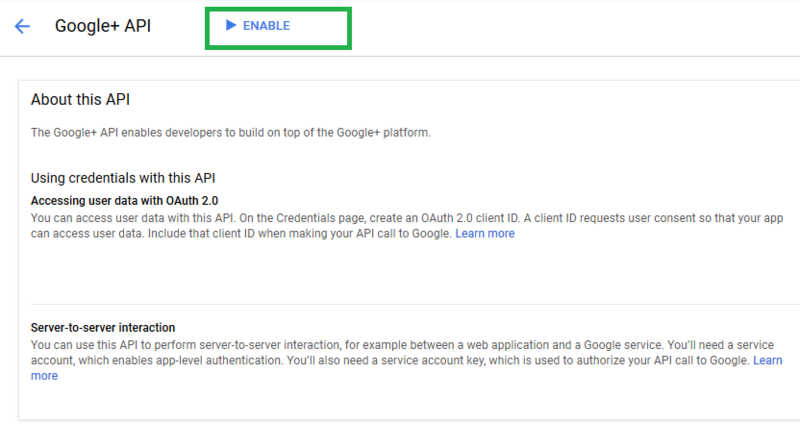 Step 2 : Next, we need to enable API for Google+API. 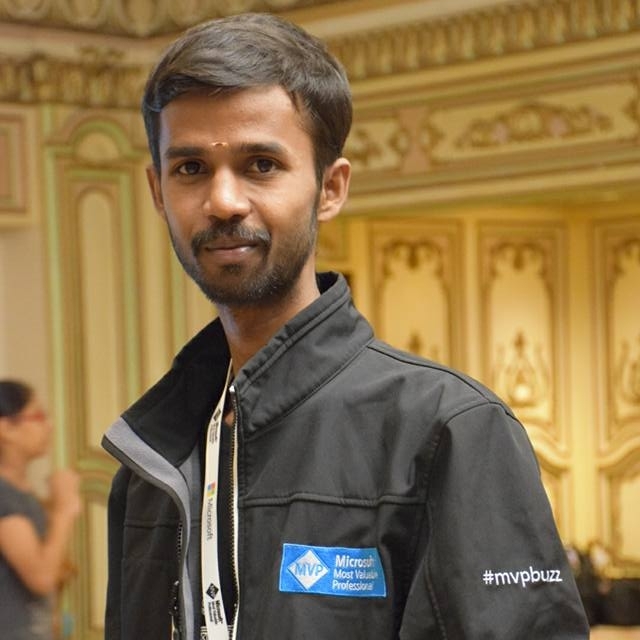 Go to API Library ->Social APIs->Google API. When it is clicked, it enables the API button. Then, click to enable. 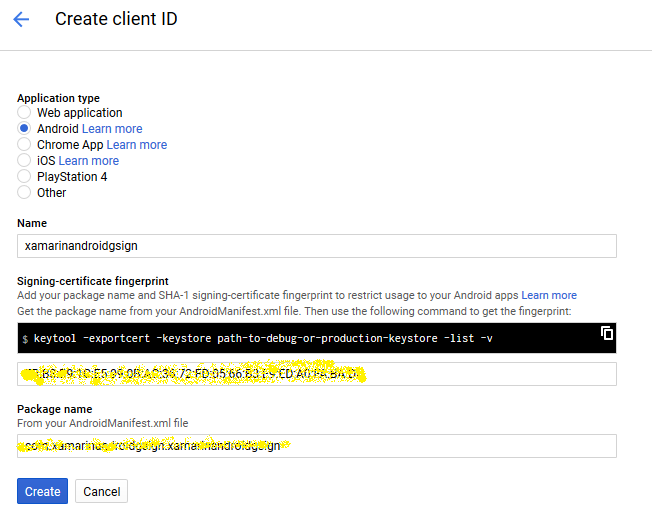 Step 3 : Afterwards, select OAuth then platform for an Android, followed by giving the Name, Package name, Key Hashes [Create Key Link]. 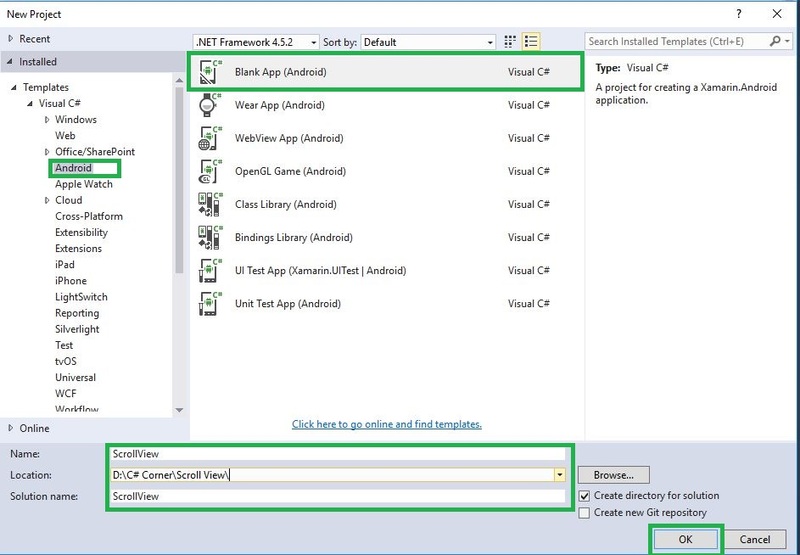 Step 4 : Open Visual Studio->New Project->Templates->Visual C#->Android->Blank App. Now, give the Project Name and Project Location. 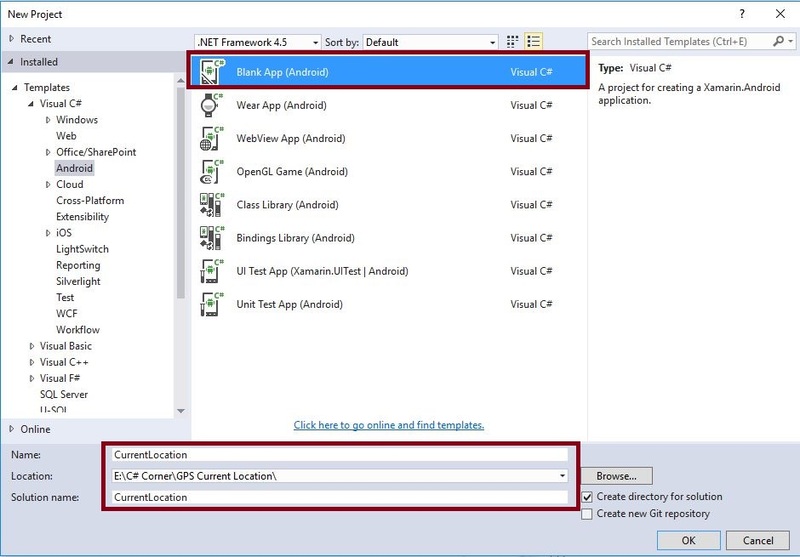 Step 5 : Now, go to Solution Explorer-> Project Name-> References. 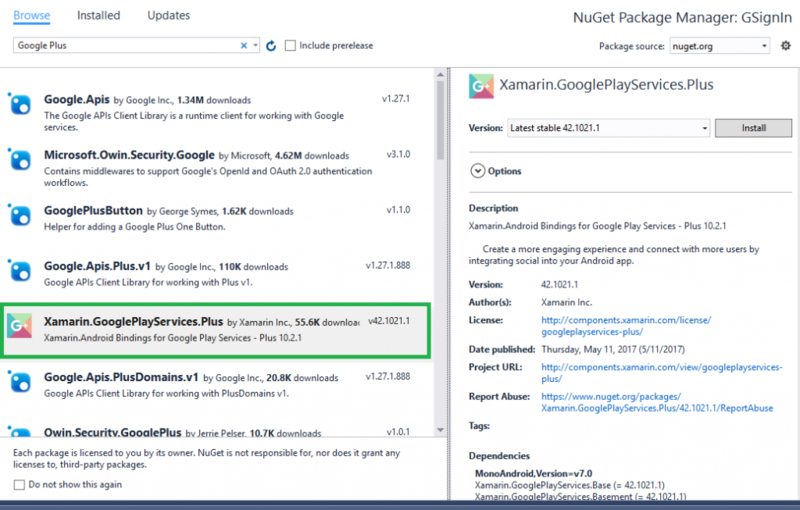 Right-click to “Manage NuGet Packages”, followed by opening a new dialog box. This dialog box helps to search Google Plus, followed by installing Xamarin.GooglePlayServices.Plus Packages. 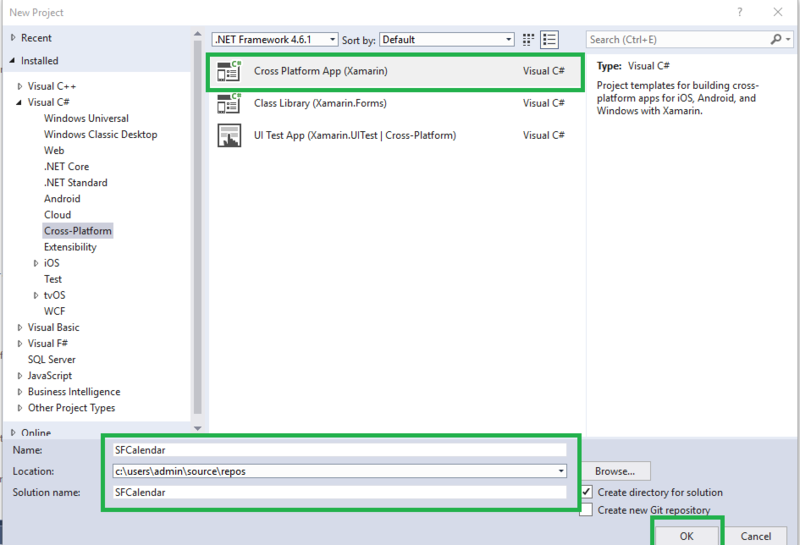 Step 6 : Go to Solution Explorer-> Project Name-> References, right-click to get more components which opens a new dialog box. 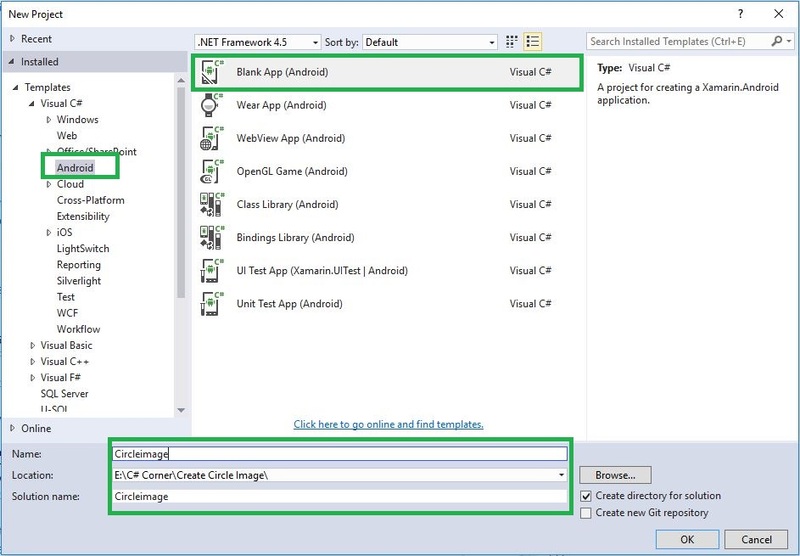 This dialog box is required to search the AppCompat, add the Xamarin.Android.Support.v7.AppCompat Library Packages. 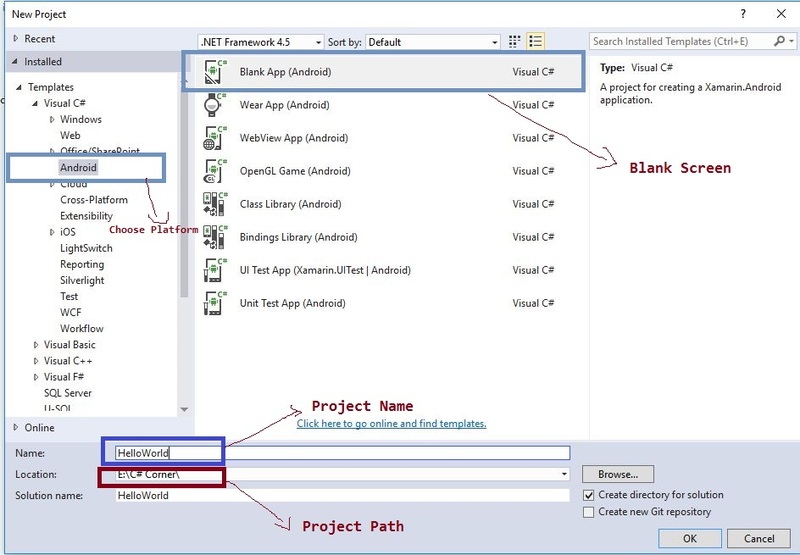 Step 7 : Open Solution Explorer-> Project Name->Resources->layout->Main.axml. Click “Open Design View”. 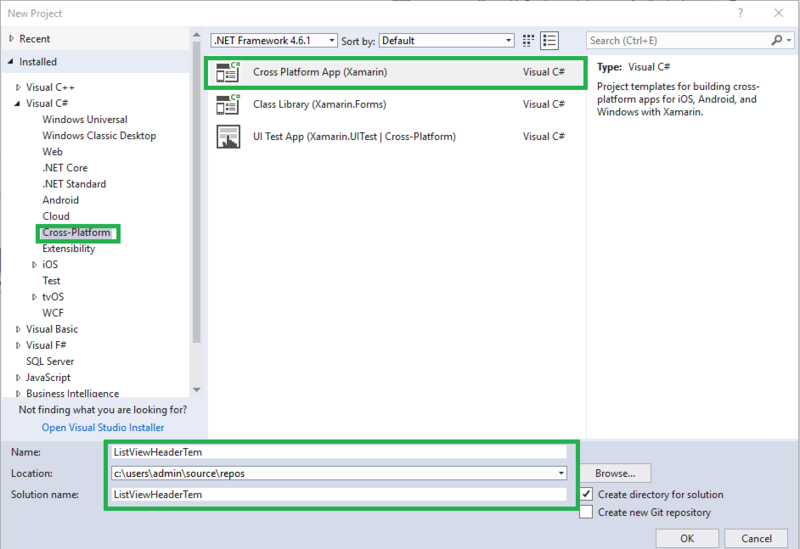 Step 8 : Now, open Solution Explorer-> Project Name->MainActivity.cs.  Click Open CS code page view, followed by adding the namespaces given below. 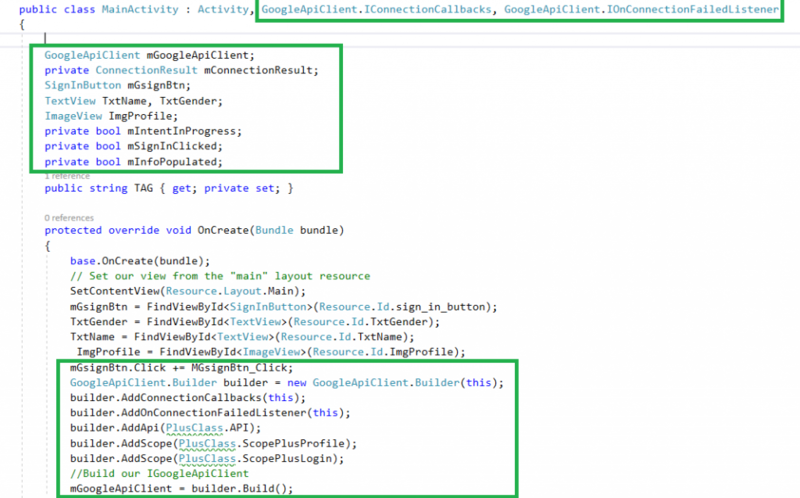 Step 9 : Add public class MainActivity: GoogleApiClient.IConnectionCallbacks, GoogleApiClient.IOnConnectionFailedListener Interface. 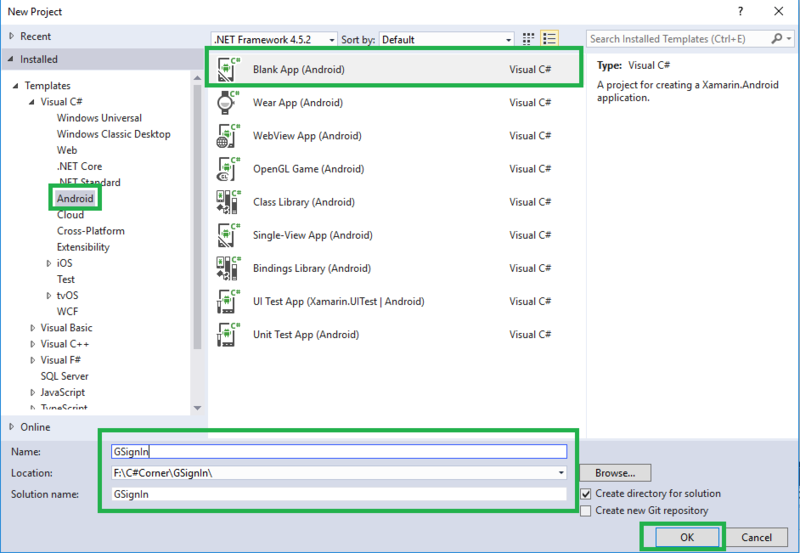 Step 10 : Create new variables followed by assigning all the variables values. Step 11 : Finally, we need to give the permissions and Google Key. 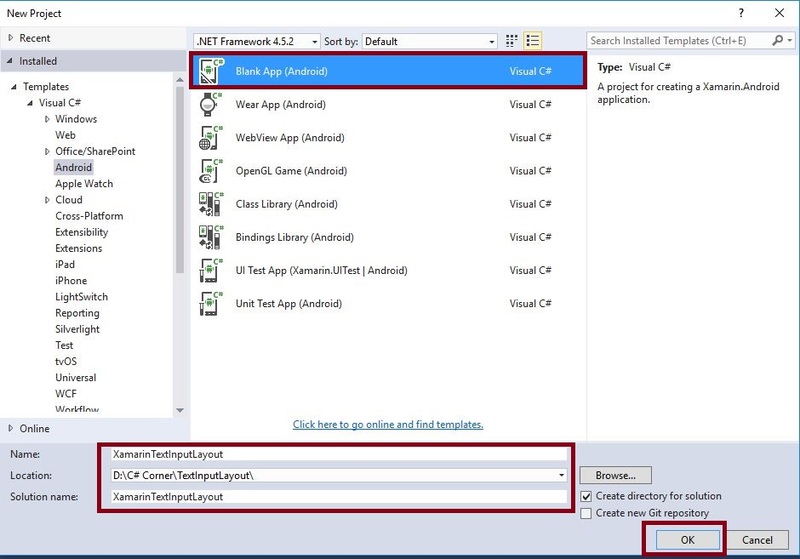 So, go to Solution Explorer->Project Name->Properties-> AndroidManifest.xml file. 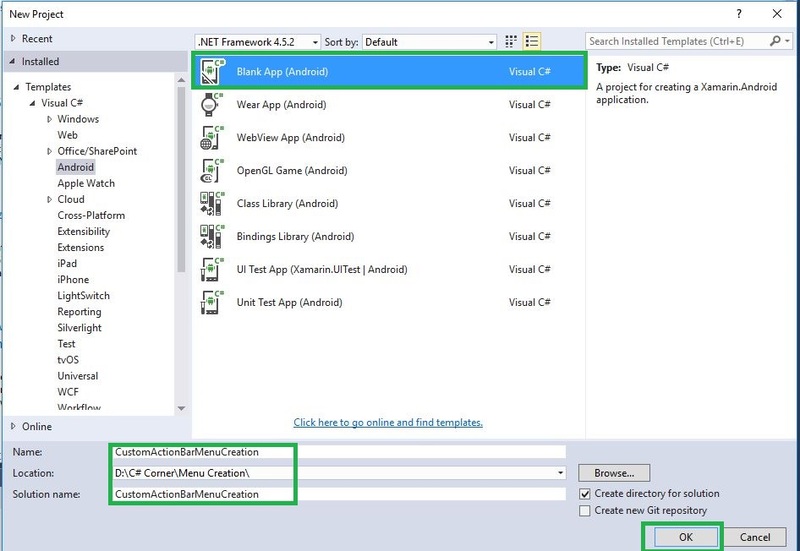 Step 12 : Press F5 or build and run the application. 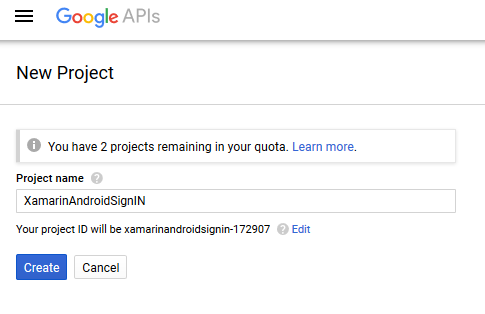 Finally, we successfully created Xamarin Android app login with Gmail authentication.